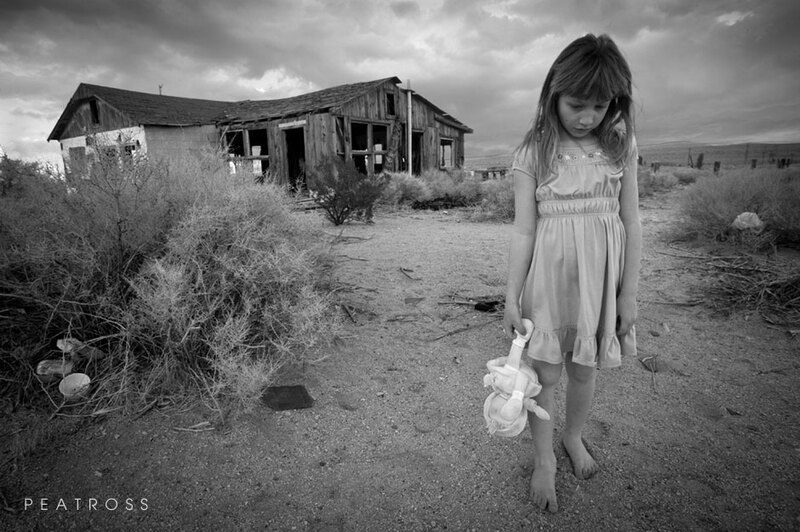 I was inspired to try this photo project by a book on America’s Dust Bowl. The abandoned house is decaying next to Highway 395 in California. I’ve stopped by numerous times to shoot the various levels of decay. What was missing from my photos of wreckage was some implied story. My daughter happily volunteered to model. Unfortunately, she’s always happy. The challenge was to look convincingly depressed! The original image was shot in the open shade of the sierra on a clear day. I combined it with a cloudy sky image for drama. I dirtied up the model and clothes in processing. A dark vignette adds to the vintage feel.